Caravan holidays are a great alternative to going abroad: they can be cheaper, far less stressful and great fun! If it’s your first time staying in a static caravan, you might be wondering what activities are available. Whether you are a family, a couple or a solo traveller, these caravan holiday ideas will help you make the most out of your trip. There are so many fantastic areas of natural beauty in the UK, particularly in Devon and the rest of the South West. A caravan holiday in this area offers the opportunity for some fantastic country walks, accompanied by breathtaking scenery. We would always recommend trying a hike on Dartmoor, or testing out the South West coastal path. 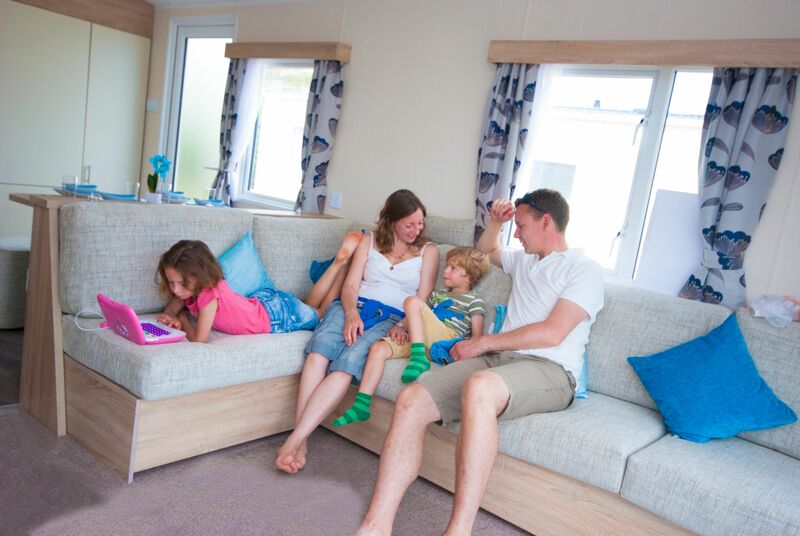 Static caravans are situated in a range of holiday parks, from the fun and lively to the peaceful and tranquil. Whichever you have chosen, make sure you check out the facilities available to you. These can range from heated swimming pools and table tennis, through to badminton courts and play areas. Whatever the weather, there will always be something fun to do for both kids and adults. A lot of holiday parks are located near the seaside, meaning that one of the best caravan holiday ideas is taking a trip to the beach! From sandy shores to rocky coves, there’s a whole load of coastline just waiting to be explored. You definitely don’t need to go abroad to find beautiful beaches. One of the great benefits of caravan holidays is being able to eat al fresco. You can feel like you’re camping, but you still have access to all the necessities in your holiday home. Cook up some burgers, toast some marshmallows, and everyone will be feeling full, happy and relaxed. If you are able to transport your bikes along to the caravan, you can spend hours exploring nearby villages and towns on your bike. You can also choose to opt for scenic routes, and travel much further than you can by foot. Whether you’re entertaining the kids or looking for a new adventure, a cycle ride is a great thing to do when you’re on a caravan holiday. We hope you enjoyed our caravan holiday ideas and are feeling inspired to try some of these activities! If you would be interested in purchasing a static caravan, please do view our featured holiday homes.